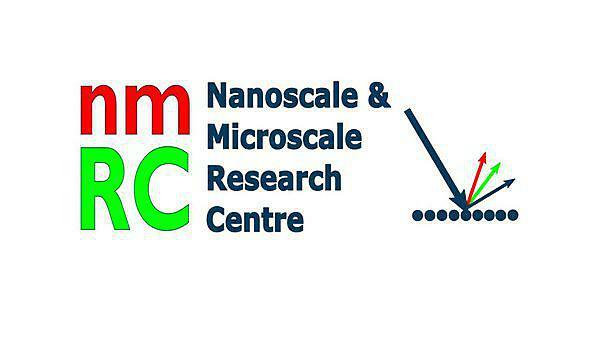 Welcome to the website for the Natural Environment Research Council (NERC) funded project, "Trojan Horses - Elucidating the potential interaction of manufactured nanoparticles with polycyclic aromatic hydrocarbons: An integrated toxicogenomics approach". Trojan Horses is based at Plymouth University but includes collaborators from King's College London, the University of Nottingham, and the University of Piemonte Orientale, Italy. Please explore the website at your leisure and if you have any questions, don't hesitate to get in touch with one of the team. Manufactured or engineered nanomaterials (ENMs) are used in a wide range of applications (e.g. consumer electronics, drug delivery, structural components) and are entering the environment, alongside other man-made contaminants. There is a growing concern over the potential impact of these contaminants on our health. This interdisciplinary project aims to test the hypothesis that environmentally relevant carbon ENMs and benzo[a]pyrene – a polycyclic aromatic hydrocarbon and representative, global pollutant, known to induce cancer – can interact to alter each other’s toxic potential. In other words, they can act as Trojan Horses to simultaneously modify potential toxicity in the marine mussel, an ecologically and economically important organism. Studying such effects can also serve as a surrogate for investigation of human health effects from similar mixtures. The wide range of novel ENMs available, along with their varying shape and unique properties (e.g. quantum effects etc. ), makes detailed characterisation of ENMs essential before determining their toxicity, alone or in a mixture. The Trojan Horses project uses purpose-made carbon nanotubes and commercial C60 fullerenes. Using a range of cutting edge technologies, these particles are being fully characterised in terms of their (a) size distribution/aggregation (DLS, (E)SEM), (b) crystal structure (TEM, XRD), (c) specific surface area (TEM), (d) charge (zeta potentiometry), (e) surface chemistry (XPS - single particle; ICP-MS - bulk), and (f) purity (ICP-MS and EDX). As tracing the fate of carbon nanomaterials in biological systems is a formidable challenge, Trojan Horses partners are developing carbon ENMs labelled with more readily trackable rare elements (e.g. Au) by attaching them to the surface of the carbon cage. Thorough chemical analysis will be carried out to determine concentrations of carbon ENMs and benzo[a]pyrene within tissues of exposed mussels. Accumulation of labelled ENMs is determined using analytical techniques (ICP-MS) to track metal concentrations in different tissues. Benzo[a] pyrene is quantified in mussel tissues by ultrasound-assisted extraction and GC-MS to evaluate bioaccumulation in the presence/absence of ENMs. C60 fullerenes are extracted into toluene and are measured by PLC-UV. Both C60 fullerenes and benzo[a]pyrene are also visualised using immunohistochemical staining. Trojan Horses uses an integrated approach which will provide a mechanistic understanding of the biological responses of mussels following exposures to ENM/ benzo[a]pyrene mixtures. The project will target endpoints at different levels of biological organisation, including highly conserved genes involved in DNA repair and cell death (apoptosis), along with the detection of DNA damage (i.e. strand breaks and adducts). In addition to analysing DNA transcripts for a set of key genes involved in stress responses, Trojan Horses will analyse tissue-specific global gene expression profiles using newly-developed targeted microarray technologies. Clearance rate (a measure of general health of the mussel) will also be used to complement the effects data from lower levels of biological organization. Prepare and characterise purpose-made ENMs (i.e. C60-fullerenes and carbon nanotubes). Characterise ENMs in seawater both in the presence/absence of mussels and/or benzo[a]pyrene. Use various microscopy procedures and immunohistochemical staining to track ENMs in the whole organism in a tissue-specific manner. Elucidate the classical signalling pathway involving selected genes (i.e. those involved in cell cycle regulation, DNA repair and malignancy: p53, rad51 and ras) and compare these responses with global gene expression using DNA microarray technology. Correlate tissue-specific accumulation of contaminants with observed biological effects. Evaluate the toxic potential of selected ENMs in combination with benzo[a]pyrene at differentlevels of biological organisation (i.e. molecular levels: DNA & lipid damage; sub-cellular level: lysosome membrane integrity and lipofuscin production; tissue level: histopathology; immunohistochemistry; physiological level: clearance rate). Further refine the detection of ENMs and benzo[a]pyrene in seawater and mussel tissues. Use robust statistical integration and data interpretation to model the uptake, tissuespecific accumulation, intracellular behaviour and toxicological pathology of the ENMs and benzo[a]pyrene in an integrated co-evolutionary manner. Communicate the scientific information to different stake holders, e.g. industry, scientific community, regulators, the general public and school children.